Competition is high and customer awareness was never reached this level before, so it is important to keep your existing customers active and convert potential clients in to permanent customers. May be your online presence is well organized and it will be effective once you get visitors, that’s why many big or small companies have online marketing team who take care of higher ranking in google and other search engines. But this will be effective once you get visitors. So how can we bring our potential client to our website apart from our ranking effort in search results? Direct Mail is one option out of many other. Many online marketers were very successful at finding potential clients through direct mail. 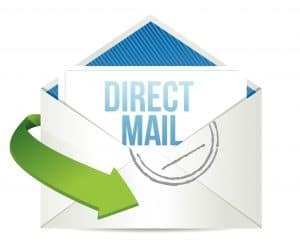 Here are tips for successful direct mailing to get some hot leads. There are different print media with different sizes like postcard, flyer, two page flyer and so on. These are all in different size, so it depend which one is right for your direct mail campaign you need to select your sales copy. Keep in mind that your goal is to take your potential customer to your website, so you need to give them enough information so they can resist to go online and check the rest. Right wording and right spacing between lines is important so they can read it quickly and decide what to do next. For this you have to get the length of the sales copy right. You don’t need to give three pages to read which overkill your potential customer or few lines which leave them confused. If your target is to give little push or reminder to your potential client so they can visit your website than give them only information which motivate them to do that because other detail information they will get from your website anyway. Long sales letter will be not productive. On other hand if your goal is to get money out of their pocket then you need to give them enough information so they can take step forward. These two scenario clearly shows that length of letter is depend on your call to action. You need to make sure that length of your copy match to your call to action. If your target audience is below 35 years age group than there are more chances that they don’t read your sales letter from top to bottom. Normally they scan it and read bold letters first and if it is interesting enough than they read further. So if your target is to send them on your website it would be good that if you mention your URL at top, middle and bottom section so they can’t miss it. Often people make this mistake that they assume that their potential client will read everything carefully and mention URL once but in reality that’s not the case. You might get more readability percentage if your audience is more than 35 years of age group because they are more mature and responsible. But still don’t assume that the prospect will look for call to action part and take action. Your job is to make it easy on prospects to find the information you want them to see. So, make it very clear by putting it in the piece a number of times.